Rebecca Richards has her work cut out for her. "This new position is focused on the future," said the White House back in September 2013, "designed to directly enhance decision making and to ensure that [civil liberties and privacy] protections continue to be baked into NSA's future operations, technologies, tradecraft, and policies." Baked might not have been the best word to use - I had to fight hard to resist a half-baked pun, and I doubt I'm alone - but now there's a new dough puncher in town: Rebecca Richards, the NSA's first ever privacy officer. Richards is a former deputy official at the Department of Homeland Security's Privacy Office. Her responsibilities will include providing guidance to the NSA director and senior leadership, to ensure the agency complies with all privacy and legal requirements. She'll also be the one responsible for overseeing and explaining the NSA's privacy controls to the public. The NSA created this role after the Snowden allegations, and the many revelations since. 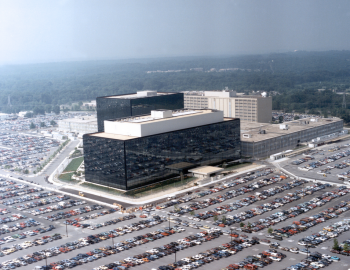 Whether or not the NSA needs an in-house privacy officer has been the subject of some debate. "In practice the role is often responsible for providing a justification for invasive surveillance programs," said Amie Stepanovich of the Electronic Privacy Information Center, back when the job announcement was made. "NSA's Privacy Officer should be given sufficient independence from the agency in order to operate effectively, and should be built around principles of public transparency and accountability," Stepanovich added.